If you plan to get married then why not in a traditional mansion in wonderful surroundings in southern Dalarna? 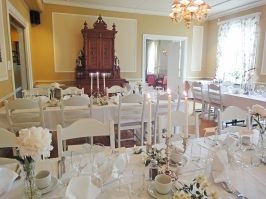 At Långshyttans Brukshotell we are ready to plan a memorable event together with you. 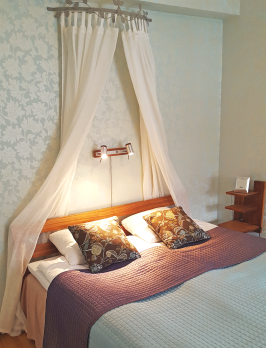 We can assist with everything from flower arrangements, suitable place for the wedding ceremony, dinner and accomodation. A traditional church wedding or an outdoor ceremony in the English park in front of the mansion? Would you like to arrive in style in s horse driven carriage while the guests enjoy a glass of sparkling wine? We can arrange an event beyond the usual in a beautiful environment with delicious food and excellent accomodation. During your wdding day eveything should be planned and pleasant. 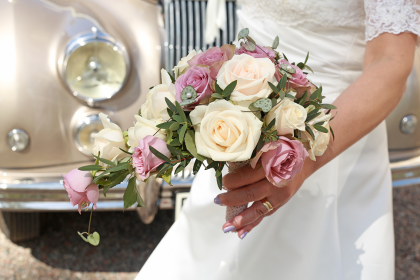 The bridal bouqet and other flower rrangements ca be ordered through us with local florists. Time is short and there is much to do. The bride need not travel far for the makeup and coiffure. We cooperate with local hairdressers and make up artists. You are welcome to contact us in advance if you wish assistance with these srvices. We are happy to share our experience with wedding arrangements and other big celebrations and wish to plan your day together with you. 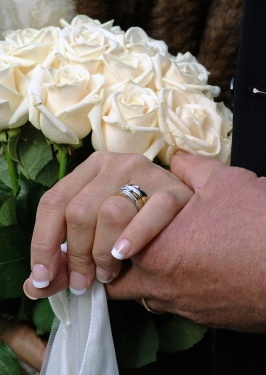 Every wedding is unique and we are ready to discuss everything from hairdressing to your overnight stay. Dinner is served in the main dining room which has room for ca 70 guests. There is no preset menu, it will be settled in discussion with you. The kitchen is well renowned and takes advantage of local producers. In the lounge you can continue the celebration with dancing - DJ may be arranged - and a drink from a well stocked bar. After a memorable dqay the wedding should of course be spent in a luxury suite. In our 2 room suite you can enjoy a bath in the jacuzzi and overlook the park from the private balcony. As a special wedding arrangement we may provide comfortable dr4essing gowns, slippers, sprkling wine, fruit and chocolate. all set to complete your wedding day! The hotel has 12 rooms and 3 apartments with a total of 30 beds. Following a happy wedding day and wedding night you can wake up at the hotel and gather with your loved ones for breakfast, perhaps followed by the opening of your wedding gifts.